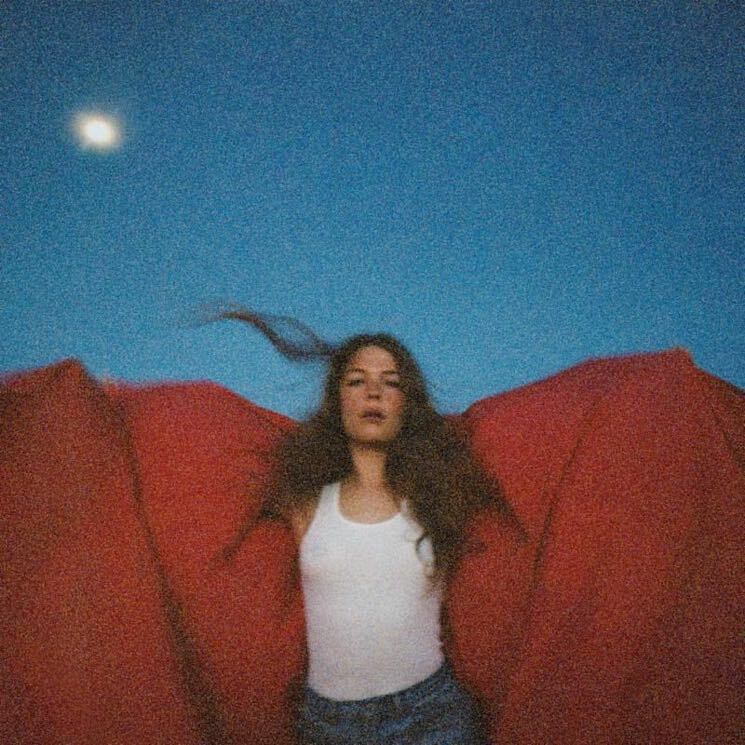 There's a brief moment in the middle of Maggie Rogers' full-length debut where she brings things to a screeching halt. Up until piano ballad "Past Life," Heard It in a Past Life is a record in constant forward motion, its music mimicking the rollercoaster ride that's been Rogers' career since she brought Pharrell Williams to tears in a viral video in the spring of 2016. Yet even when she puts on the brakes, she can't help but feel overwhelmed by the tidal wave of change. "Oh, I could feel the change a comin', felt it in the breeze," she sings, "Oh, I could feel the change a comin', coming' right for me." Fittingly, the music's forward motion picks right back up on the following track and carries through to album's end. Rogers has said that Heard It is her attempt to chronicle the last year-and-a-half of her life in her own words. The questions she's asking — Who am I? What do I want out of life? — are no different than any college grad in their mid-20s, only she's being asked to do it under the microscope of public opinion. Thankfully, Rogers rises to the occasion, making herself and her mixture of emotions the anchor of songs whose music moves at an unending pace. Infectious opener "Give A Little" is probably her best shot a pop hit, but that's clearly not what Rogers is after. The languid grace of first single "Fallingwater" is more indicative of the wide open spaces she wants her music to inhabit, the kind of songs that slowly overwhelm listeners with repeated listens. "Alaska," the track that started it all, is included here, as is "On + Off," both from her previous EP and the sound she established there — modern computer-driven pop production mixed with more natural musical accents — continues. Superstar producers like Greg Kurstin and Rostam Batmanglij add their formidable skills, chopping up voices and handclaps to fill out Rogers' spacious compositions to haunting effect. Yet no one would ever mistake these songs as the work of anyone but Rogers.